How to toot your own horn. It’s been a great month so far for My Super Connector. I was highly commended at The Croydon Business Excellence Awards 2018 in the ‘Commitment to the Community’ category and I’ve also been shortlisted as a Finalist for the Venus Awards London 2018 in the ‘Social Media Influencer’ category. I think this photo pretty much sums up how I’m currently feeling. Those of you who know me will know that I’m a massive believer in tooting your own horn – after all if you can’t get behind yourself and your achievements to date how can you expect anyone else to? I wasn’t always this bolshy. In fact I grew up in a world better suited to extroverts where the loudest in the room made maximum impact and the introvert worked away diligently in the sidelines helping others to shine. 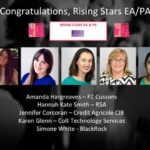 This suited me fine for many years however I reached a point in my mid 30s where I was absolutely fed up with the preconception of what a PA / EA was and did. I fell into the admin world straight from university where I had studied Honours English and French. I worked in Ireland, England and Australia in various industries at a senior level. I earned a good salary yet people were still disregarding me and my skillset, even my own colleagues despite the fact that we were all university graduates. I was determined to shake up the stereotype of tea and typing. In my annual appraisal networking was listed as one of my competencies and when I didn’t receive top marks one year that to me was the straw that broke the camels back. You see I’ve been networking for 20+ years. 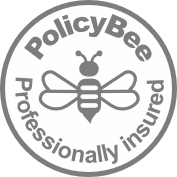 When I first moved to the UK 18 years ago I joined various PA networks and associations so that I could find my feet and also so that I could connect with my local and international peers. Being a PA / EA can be a lonely and isolated role as we are usually the only one in a team with fellow colleagues really not having a clue what you do. I put in the time and networked in evenings and weekends and on LinkedIn and over time built up a solid and wonderfully supportive network. 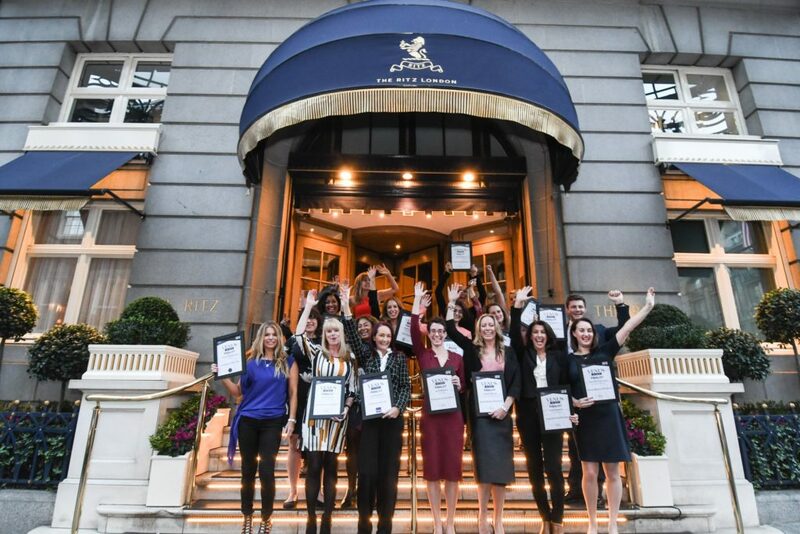 Enough was enough – so I mustered up the guts to enter my first award and nominated myself and consequently won the title of the ‘Most Networked PA in London’ to prove my point. Winning this award boosted my confidence and before long I had the bug. I went on to self nominate and win a national Rising Star Award with WeAreTheCity and an international SuperAchiever award with Pitman Training. Several years later following back surgery I set up in business and knew that I needed to get out there and raise my visibility once again so I researched my local community and got stuck in. I started to network locally and became an Ambassador for the Croydon Business Awards. I encouraged fellow freelancers and SMEs to toot their horns. After all they had nothing to lose and everything to gain. 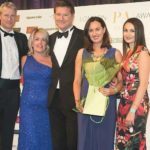 Quite a few of my clients ask me which awards they should enter and I think entering a local one is always a great place to start. I would then follow this up by entering an industry award. This time around I was lucky to be nominated for the Venus Awards. The nomination came from a fellow Enterprise Nation member. We met each other a year ago at an event for small business owners at No 10 Downing Street. Never underestimate the power of networking. My top tip is to create a Word or Google Docs document and keep it open throughout the year. Call it your ‘Achievements’ and any time you receive a win put it in there – whether it’s a guest blog, webinar, podcast guest etc it should all go in as it’s so easy to forget all the many plates we keep spinning as professionals and business owners. Don’t just enter one category – most people will go for the ‘sexier’ categories so give yourself a fair shot by applying for 2 or 3. Get your application ready on Word etc. and then copy and paste. Don’t be disheartened if you get nowhere – at the very least it’s allowing you to appreciate all of the hard work you have been doing. I don’t win every award I go for… I entered The Croydon Business Awards last year and got nowhere. It didn’t stop me entering this year. If you are lucky enough to become a finalist – don’t be afraid to come back for more the next year! She/he who dares. 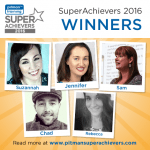 I was a SuperAchiever Finalist in 2015 and went on to win it in 2016. Not great at writing award submissions? Enlist the help of a copywriter or PR company who will do it on your behalf. I’m not going to lie and say that winning Awards is the be all and end all. It’s not but it will raise your confidence and increase your credibility. People will buy into your personal brand and the independent stamp of approval you receive will help generate that all important know, like and trust factor. I’ve won 5 awards to date and been a finalist for 4. I would like to think that these tips are tried and tested. What are your top tips? I would love to hear from you!